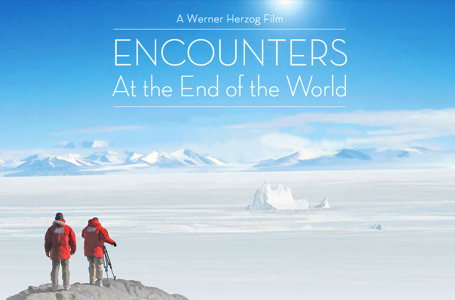 Encounters at the End of the World, the latest documentary feature from the always astounding Werner Herzog, finds the esteemed director revisiting some of his favorite themes: the malevolence of Nature, universal chaos, and humanity's impending doom. 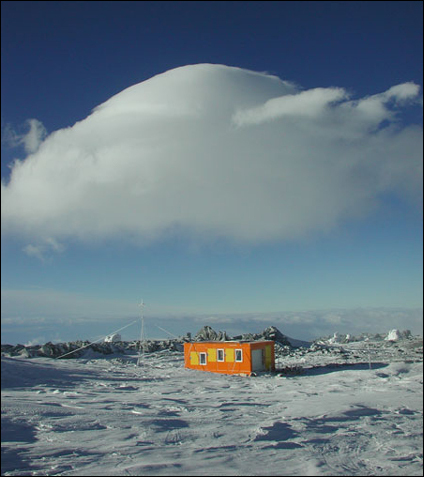 The setting this time around is Antarctica, specifically McMurdo Station, the only perpetual habitation on the continent (with the exception of a few scattered camps) and headquarters of the US National Science Foundation. Herzog narrates the film in his trademark German-accented deadpan, remarking on how dismal McMurdo appears - like an "ugly mining town" - but is nevertheless chomping at the bit, anxious to foray into the nether regions of the icy landscape. What he finds in the polar expanse isn't much more friendly, although it is remarkably more beautiful. As far back as Aguirre and Fitzcarraldo, and as recently as Grizzly Man and Rescue Dawn, Herzog's fascination with the elements has yielded a great amount of beauty, shown through the lens of adversity. It's no different here, although there is much more of a focus on the interesting journeymen characters who populate the station than the surroundings themselves, which are inherently apparent. Philosophers turned tractor drivers, misfit scientists, and displaced linguists populate McMurdo Station, forming a community of intelligent and spiritual outcasts. Herzog allows his camera to linger uncomfortably at times on his subjects, both pre- and post-interview. It may be manipulative and highly subjective, but he has never claimed Encounters at the End of the World to be an objective science documentary. 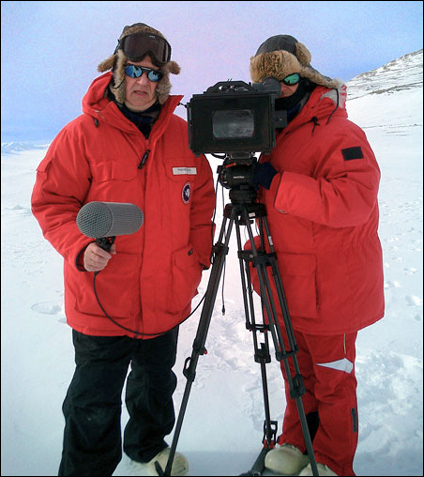 In fact, at the beginning of the film, he tells the viewer that he was surprised he was allowed to travel there with his cameraman, as he made it clear to the National Science Foundation that he wasn't interested in making another film about penguins. Penguins do, indeed, appear in the documentary, but Herzog chooses to focus on one apparently deranged penguin, a doomed bird that decides to make a suicidal journey towards the continent's center instead of the coastal feeding grounds. 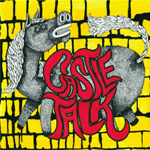 He questions a scientist not about the black and white birds' mating habits or instincts, but whether any are gay or prone to going insane within their sequestered communities. His approach is unorthodox, but it is also exactly why one watches a Herzog documentary rather than the Discovery Channel or March of the Penguins. The nature photography in Encounters is rapturously filmed and set to ecstatic choral music, evoking a grand sense of something above and beyond the mortality that binds us all. 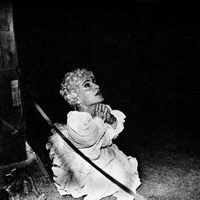 Both are in large part of Henry Kaiser, a recording artist for the Maryland-based avant-garde label Cuneiform, who collaborated with David Lindley on the film's music and also produced the movie and did all of the underwater photography, as well as appearing as a character on camera. 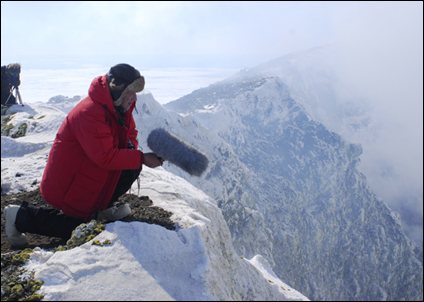 Herzog also pauses for a moment to allow the otherworldly sounds of the seals to permeate the soundtrack, an eerie m�lange of squeals and chatters that one scientist describes as approaching Pink Floyd. Godly isn't necessarily theistic, in Herzog's vision, but it certainly is grand. 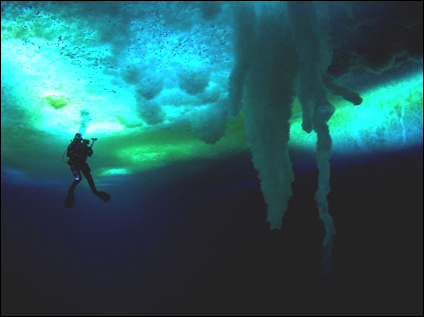 He likens the divers silently preparing to enter the ice to priests and notes that they refer to the icy world underneath the waves as the "cathedral." Near the end of the film, Herzog describes life as a "chain of catastrophes," while showing footage of machinery that the ice and snow have reclaimed. He clearly has a great respect for and awe of the world's greater natural attributes, although not so much for a society that would plop down "abominations" like aerobics centers and yoga classes in the middle of it. When the weather turns dismal and snowy, Herzog finally gets what he came to Antarctica for - he says he loathes sunshine on both his skin and his celluloid. Encounters at the End of the World is by no means Herzog's greatest cinematic achievement, but it is another idiosyncratic and exceptional statement from one of contemporary cinema's greatest directors.